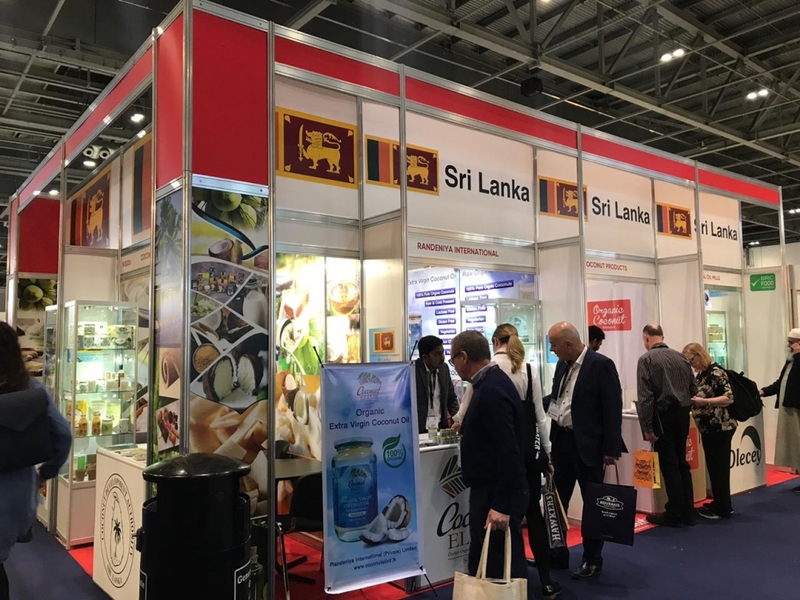 The Coconut Development Authority of Sri Lanka, in association with seven Sri Lankan coconut-based product companies, participated in the International Food & Drink Event (IFE) 2019 held at ExCel, London from 17 to 20 March 2019. IFE is one of the largest food and drink exhibitions held in the UK every other year with the participation of over 1,300 food and drinks manufacturers representing over 60 countries. 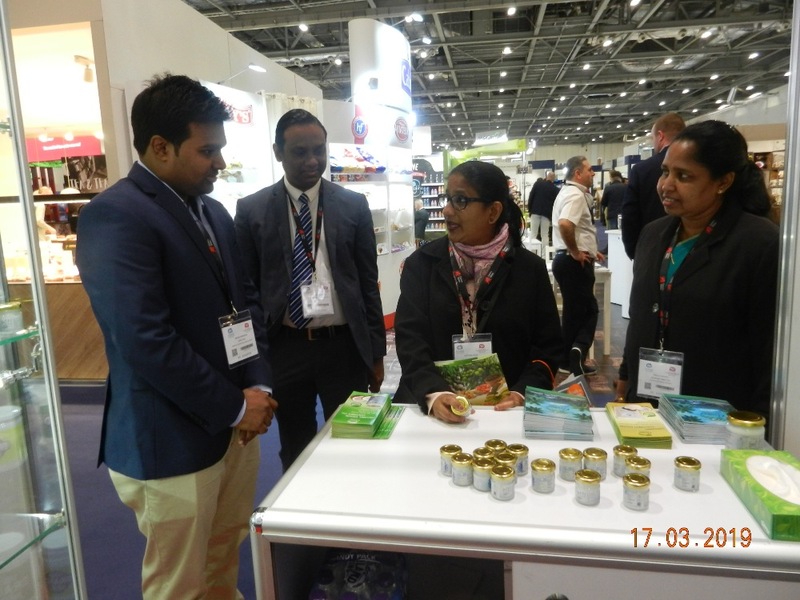 The Sri Lanka stand at the show was represented by the Coconut Development Authority, M/s. RMP Coconut Products (Pvt) Ltd, M/s. Jaindi Export (Pvt) Ltd, M/s. Dasa Cocos (Pvt) Ltd, M/s. Randeniya International (Pvt) Ltd, M/s. Waguruwela oil Mills (Pvt) Ltd, Manchiee De Coco Products Ltd and M/s. Hero Nature Products( Pvt) Ltd. The Commercial Section of the High Commission headed by Minister (Commercial) Ms. Gothami Silva arranged meetings for the companies with potential buyers for their products, and facilitated and a market visit for the delegation to explore product innovations, pricing, labelling requirements and marketing strategies for coconut-based products in the UK market. 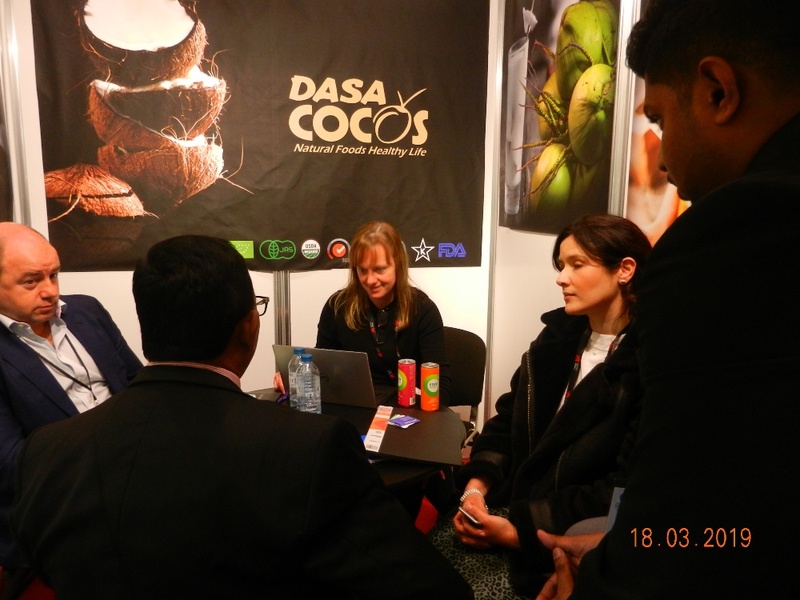 A leading manufacturer and distributor of coconut water-based products in the UK is scheduled to visit Sri Lanka in mid April 2019 to meet the companies and inspect their facilities following positive discussions with Sri Lankan companies at the IFE. 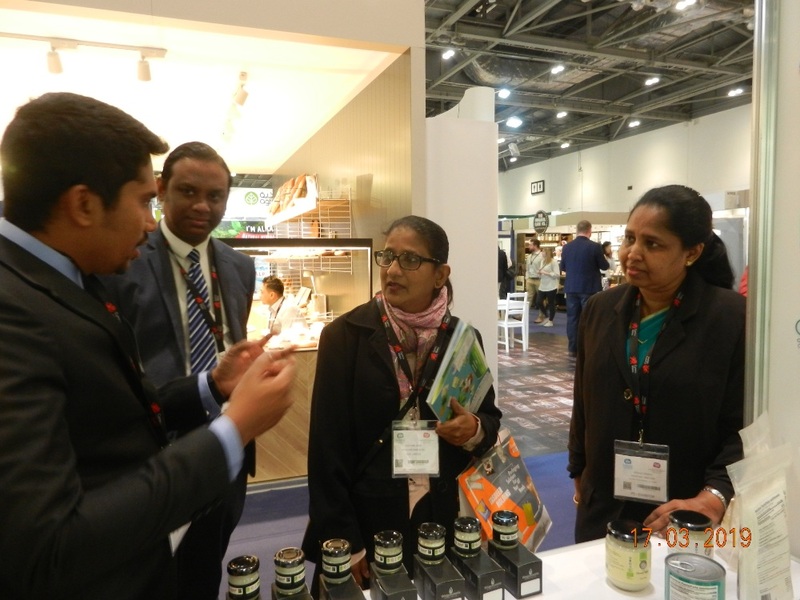 The UK’s growing consumer preference toward functional foods, which are enriched with health-giving benefits, has opened a lucrative market for kernel-based coconut products including virgin coconut oil, coconut water, etc., and Sri Lanka is among the top 05 exporters of coconut-based products to the UK. 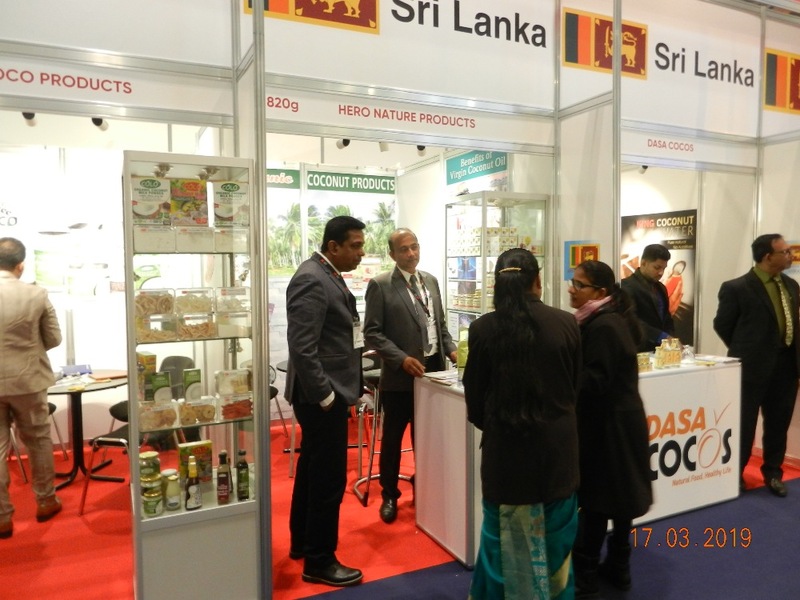 Also representing Sri Lanka at the show were M/s. Dilmah Ceylon Tea Company PLC, M/s. Stassen Exports (Pvt) Limited, and M/s. Tea Trends Exports representing the Ceylon tea sector.